Got a shiny new trailer for your recently completed film? 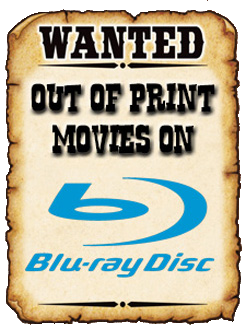 Work for a DVD/Blu-ray distributor and are trying to get the word out about your upcoming release? Scheduled a cool film screening, festival, or convention and want to get the word out? Then be sure to drop us a line at The B-Movie News Vault! 2.) Drop us a private message over at the Vault's Facebook Page. 3.) Send us a private message on Twitter!